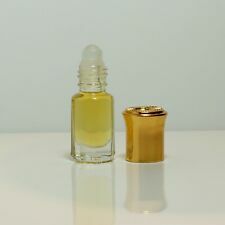 Tom Ford Oud Mineral 3.4ML EDP unisex fragrance. This is spray on. Explores a secret history of addictive Arabic passions - crafting fragrances from precious oud wood resin and smoking aromatic tabacco. It was created of vibrant Citrusy notes,Agar Wood,Cardomom,Brazilian Rosewood,Sichuan Pepper,Sandlewood,Vetiver,Tonka Bean,Vanilla And Amber. This is not a copy or Generic mix it is a Highest Quality Oil. A beautiful elegant bottle and a beautiful outer box. Oud 24 Hours is filled in an exclusive, depicting strength of this lingering scent. Oud 24 hours by Ard Al Zafraan Is a perfect blend of the finest oud which gives beautiful Fragrance of agarwood patouchilli and vanilla. You are buying10ml OUD WOOD. Here is iconicOUD WOOD formTOM FORD. This is excellent gift for any occasion and greatCHRISTMAS present. The raising of a hand or the clearing of ones throat can turn the whole world in your direction. Fresh, warm and sultry Gold Edition of Amber Oud. 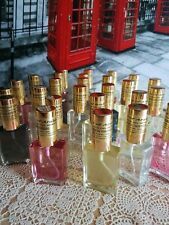 Tom Ford Oud Wood Eau De Parfum to buy 5 ml decant glass spray. Парфюм Tom Ford купить оригинальный аромат Tom Ford Oud Wood. 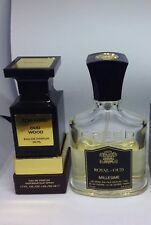 Tom Ford Oud Wood 5 ml decant glass spray from 100 ml and 250 ml from the bottle. 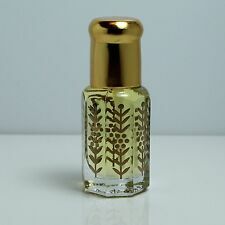 A beautiful elegant bottle filled in an exclusive, depicting. strength of this lingering scent. A nice blend of floral and woody notes. An exclusive that you will hardly find! It is a mixture blended wood and musk. Experience The fragrance product of the 21st century! Heart : Oud, Sandalwood, Vetiver. Top Notes : Rosewood, Cardamom, Chinese Pepper. We have no affiliation with the manufacturer and or designer. Shaghaf Oud Abyad 75ml EDP by Swiss Arabian. This is followed by Amber, Frankincense, Opoponax, Citrus & Myrrh. Exotic rose wood and cardamom give way to a smoky blend of rare oud wood, sandalwood and vetiver. Tonka bean and amber add warmth and sensuality infused with the rare and distinct scent of oud wood. Notes of exotic agarwood (oud) and Brazilian rosewood lead the way with their powerful, enriching scent that’s reminiscent of taking a casual walk or a brisk hike. Formulation Oil. Size 8.5 oz. This is the original formulation of the TOM FORD™ Oud Wood scent which was released in 2007 not the new version of the scent with the grey label, in any case a lot better and deeper Oud scent than the new released Oud Wood . Tom Ford Oud Wood BODY OIL 8.5OZ 250ML NIB SEALED. Size 8.5OZ. Formulation Oil. We will try to respond as soon as possible. Vetiver, Patchouli, Violet, White Oud, Oakmoss, Musk, Agarwood. GOLDEN OUD. The aroma calms if dissolves in the skin, causing a feeling of peace and tranquility. Fragrance Notes. BY OUDH AL AJYAD. PLATINUM OUD. Rose, Patchouli, Driftwood, Agarwood, Amber, Musk. The aroma calms if dissolves in the skin, causing a feeling of peace and tranquility. FRAGRANCE NOTES. Our price is comparatively cheaper then other as we collect product from main sources. It is very nice. Manufacturer: Ard Al Zaafaran (made in U.A.E) (Original & Genuine). OUD AL SHAMS EDP BY ARD AL ZAAFARN 100ML. Fragrance Note: Bergamot, Sandalwood, cederwood, musk, amber. Tom Ford Oud Wood Intense Eau de Parfum 100ml Spray. The differences are the amount or the concentration of oils that are in the scents. The higher the concentration of oils, the longer your scent will last, and the less you should need to apply. This oud awake the senses with an aroma that shines like the golden rays that sparkles. A unique fragrance for an attractive character presented to you by Gulab Singh Johrimal. Exotic rose wood and cardamom give way to a smoky blend of rare oud wood, sandalwood and vetiver. Tonka bean and amber add warmth and sensuality. 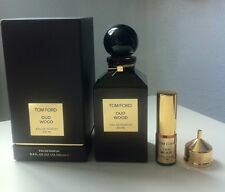 Tom Ford Oud Wood in 5ml (bottle in second pic). Exotic rose wood and cardamom give way to a Smokey blend of rare oud wood, sandalwood and vetiver. Tonka bean and amber add warmth and sensuality infused with the rare and distinct scent of oud wood. Base notes: musk, vanilla, guaiac wood, amber. Middle notes: jasmine and sandalwood. Scent: very sweet Floral & wood fragrance. Fragrance Family: Oriental. Here's the boring bit. Using ingredients which have been prized in the East for thousands of years. Fragrance fetures are; Agarwood (Oud), Madarin, Soft Spice, Sandalwood, Cedar wood, Amber Cedar, Patchouli & Musk. 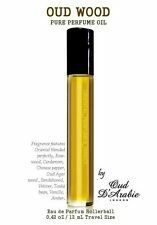 Ingredients/Notes : Agarwood (Oud), Sandalwood, Amber, Musk, Cedar, Mandarin. It is a rare oriental blend. The fragrance features woody, sandalwood, Agar-wood oud, saffron, Egyptian Rose, patchouli, amber. Size: 40ml Spray. Ingredients/Notes: Sandalwood/Agawood/saffron/Egyptian/Rose/patchouli/amber. Scent: very sweet Floral & wood fragrance. Fragrance Family: Oriental. Tom Ford Oud Wood Body Spray 150ml. Beautiful spray bottle, made by Anfar in UAE. 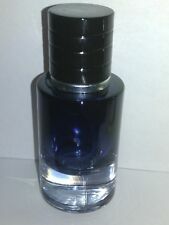 Size: 100ml. Fragrance Family: Oriental. What is alcohol denat?. It is regarded as permissible for use. The aroma calms if dissolves in the skin, causing a feeling of peace and tranquility. Fragrance note :woody Cambodian Oudh musky.